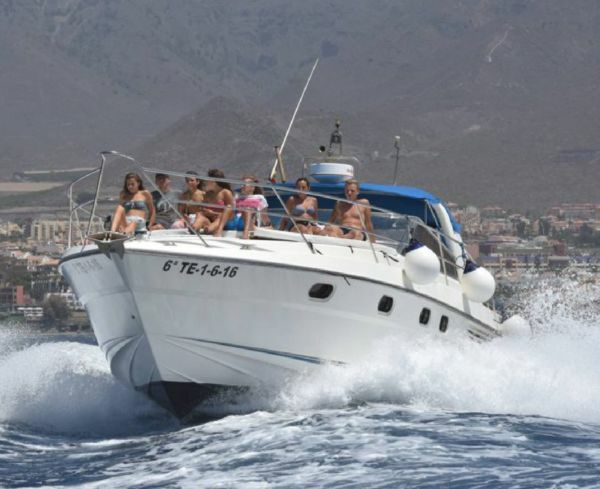 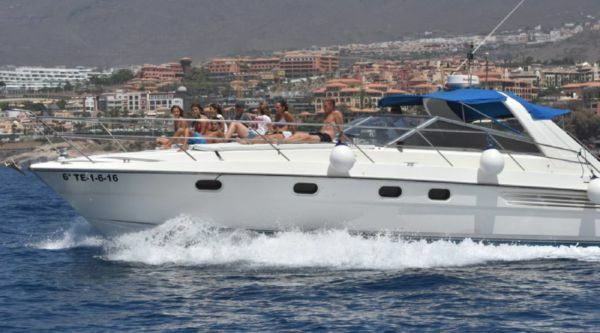 Whales in Tenerife, daily offers for boat trips; online booking. 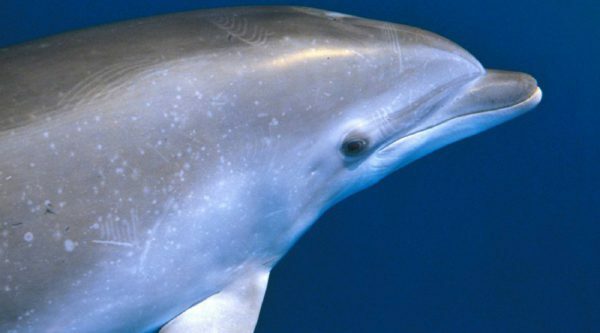 Dolphins and whales in Tenerife, an experience you can’t miss when visiting the island; on this boat trip you will get to know the abundant marine life of Canary Islands. 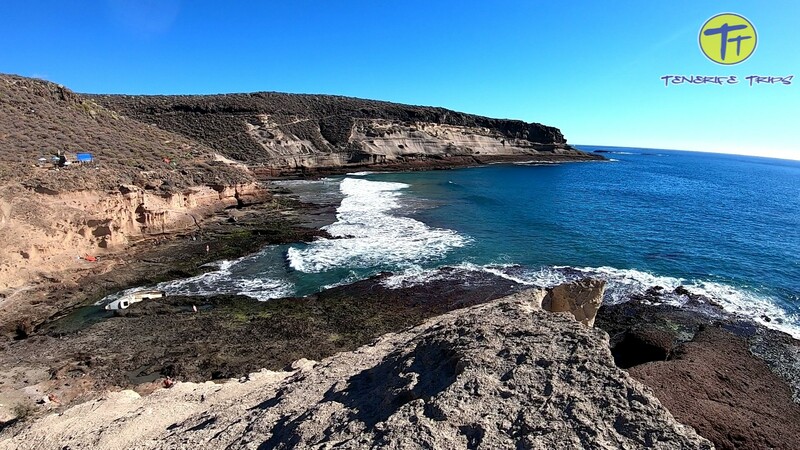 The sea between Tenerife and La Gomera is a natural reserve; the Canarian government protects and preserves it with strict laws. So first of all we pick you up from your accomodation in Tenerife south; we recommend you to contact us to confirm availability from your area; we bring you to Puerto Colon, the main harbour in Las Americas, where our power boat is anchored; once everybody is on board we leave the pontoon and start our trip to see dolphins and whales in Tenerife. 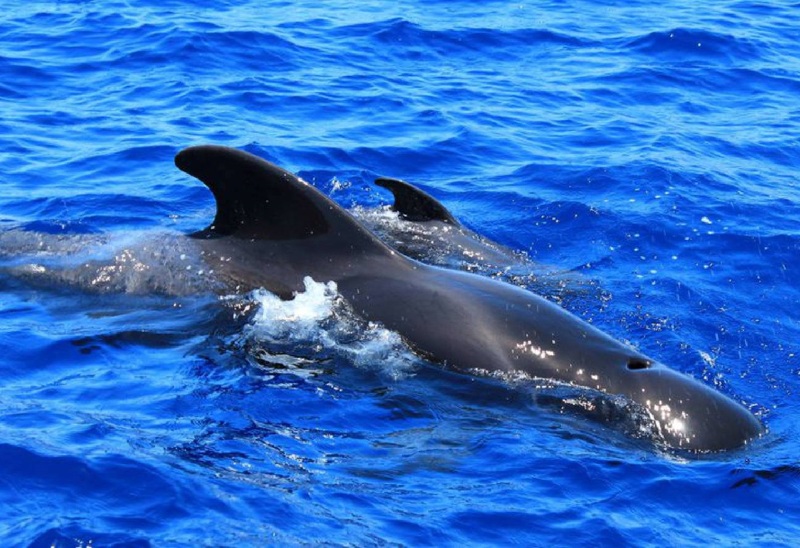 The chances to have such an encounter with dolphins and whales in Tenerife are very high indeed; these animals swim slowly and they come out of the water often to breathe; the adults can reach about 7 meters in length and many times you can see groups with babies. 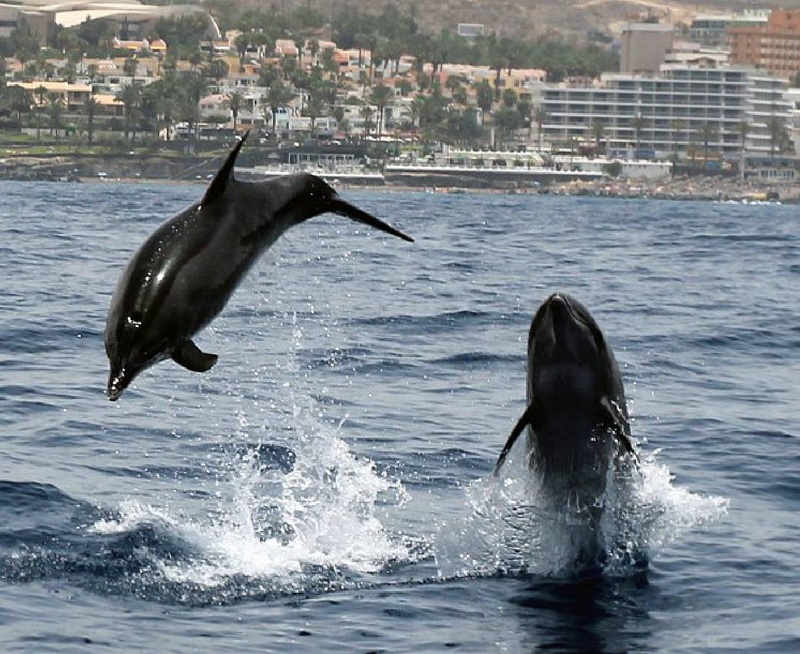 The dolphins are extremely sociable, they like to play following boats and jumping beside them; the most common species we find in Tenerife is the Bottlenose Dolphin. After the amazing experience of seeing dolphins and whales in Tenerife we head to the coast and stop close to the shore for approximately one hour; usually the location is Playa Diego Hernandez, a natural sandy beach in Costa Adeje. 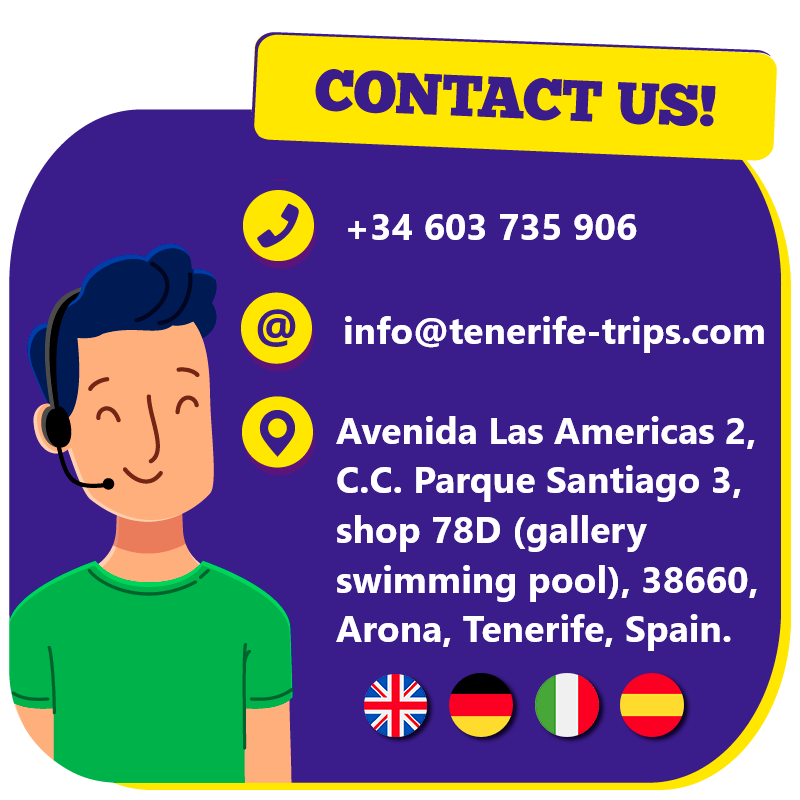 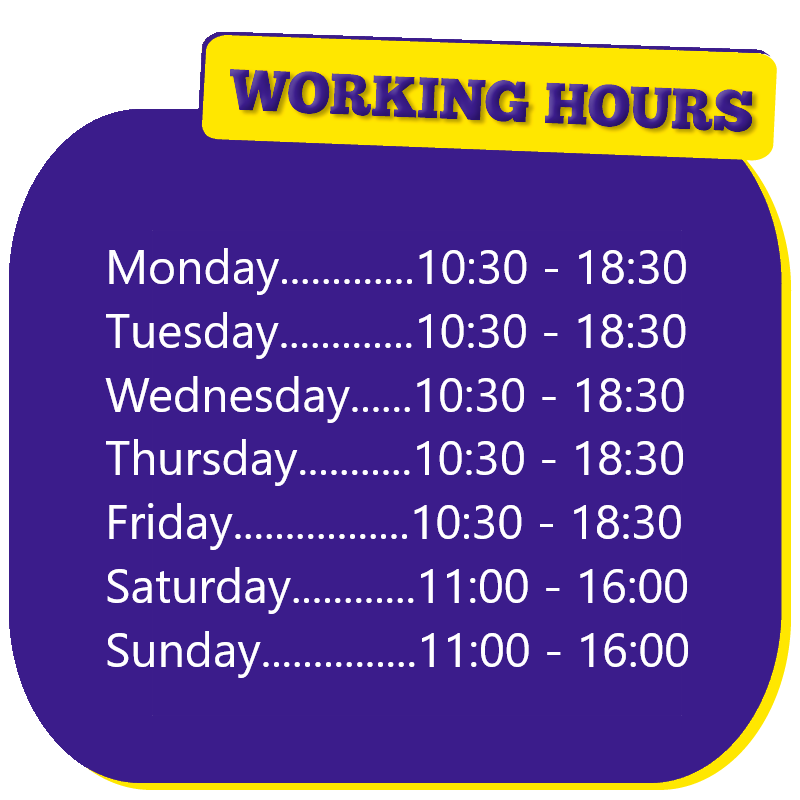 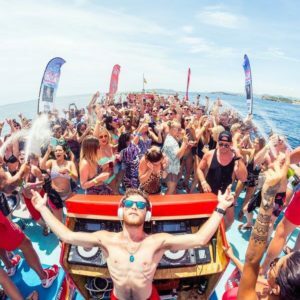 During this time we provide you with food and drinks (sandwiches, soft drinks, water, sangria, beer, sparkling wine); if you like you can have a swim using our snorkling equipment. 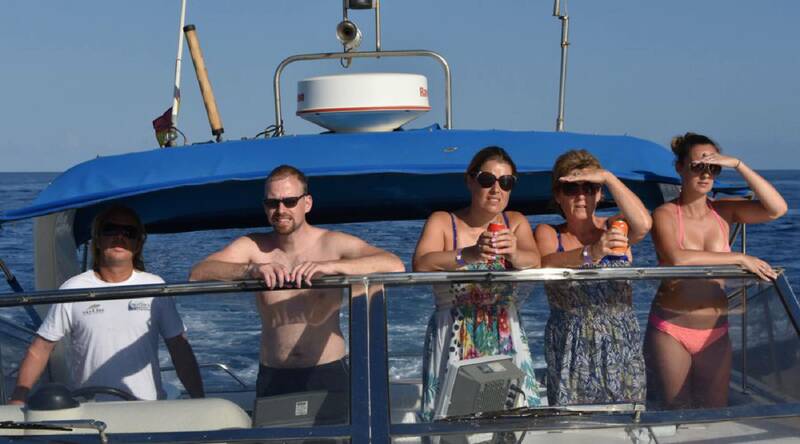 When we are sure everyone has fully enjoyed the break we leave and get back to the harbour. 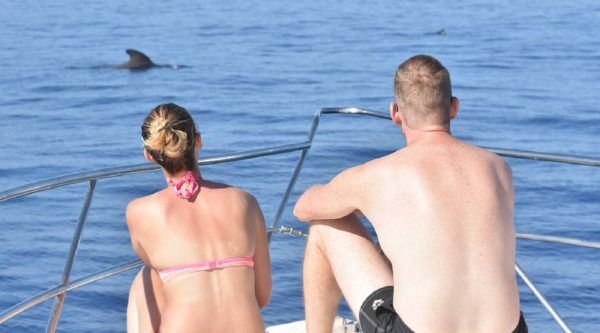 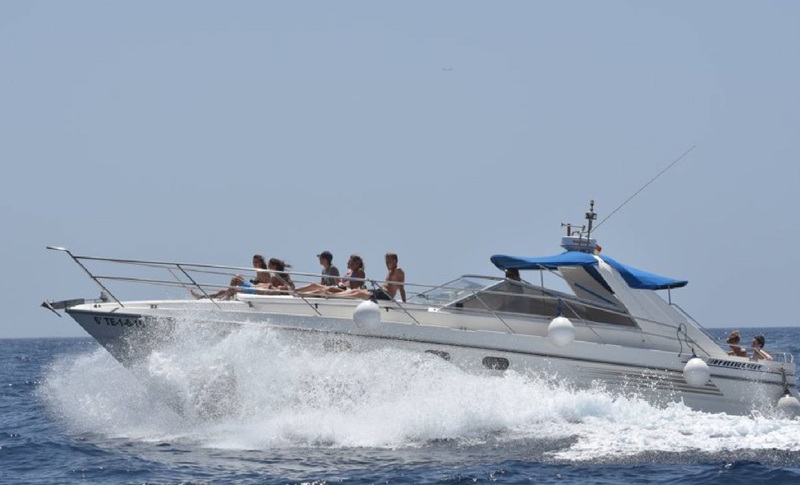 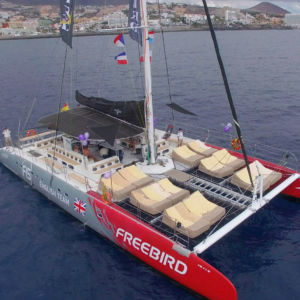 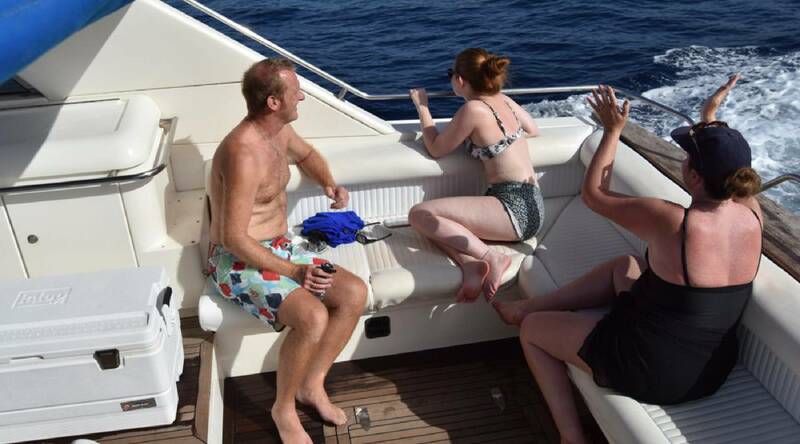 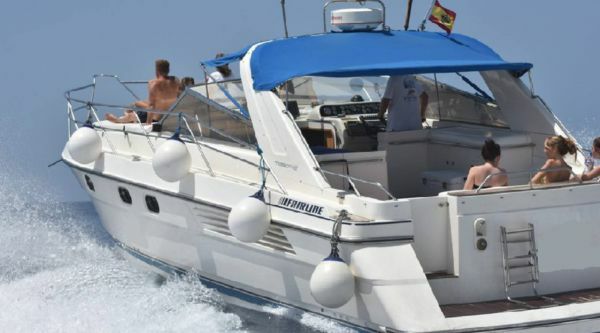 This boat trip to see dolphins and whales in Tenerife lasts in total 3 hours. 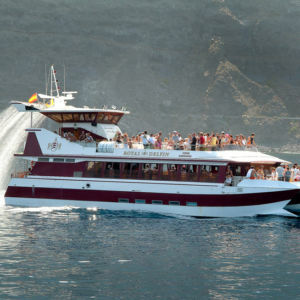 There is availability for maximum 12 people on board.